Episode 30: Snowpiercer, Snowpiercer VS. Hunger Games, Top 5 Movies with Trains — Super Fantastic Nerd Hour! August 11, 2014 by Ali Mattu, Ph.D.
"Know your place. Accept your place. Be a shoe!" We take a ride on Snowpiercer! Why was Bong Joon-ho's new film held up in distribution for almost a year? Is its experimental video on demand and theatrical release working? 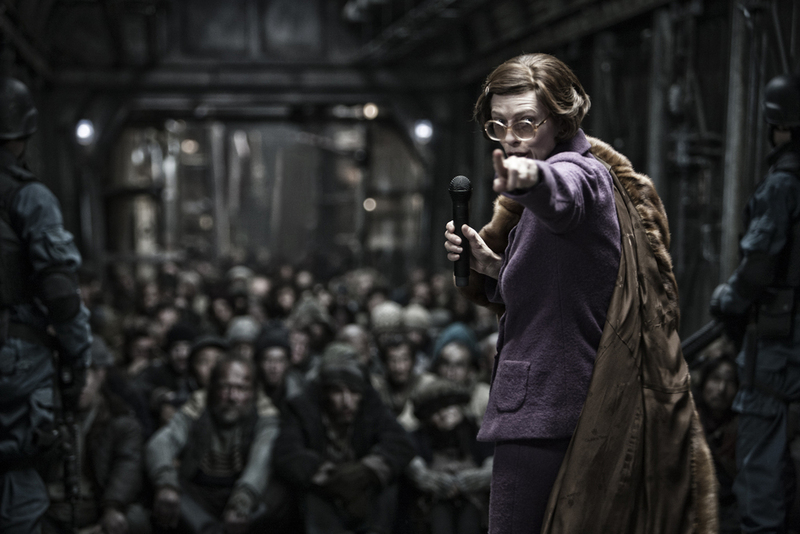 How does Snowpiercer mashup horror and science fiction? What's the film's social commentary and how does it relate to classics like Metropolis and Brazil? In the INFINITE CROSSOVER CHAMBER, which dystopian future would you rather live in - Snowpiercer or The Hunger Games? All aboard our top 5 movies with trains. 51:01 – 1:00:00: INFINITE CROSSOVER CHAMBER: Snowpiercer VS. The Hunger Games. 1:00:01 – 1:15:49: Top 5 Movies with Trains. Now That You've Seen Snowpiercer, Which Other Movies Should You Watch From Director Bong Joon-ho? Can a Korean Sci-Fi Movie About a Train Reinvent Hollywood's Distribution Model? August 11, 2014 /Ali Mattu, Ph.D.